We began packing yesterday for our big move. Bali is so pissed at us. I think she realizes that we're not leaving her, but she is aware that traumatic things are on the horizon. She's withholding her purrs and most general affection. Poor Bali! She's so ornery! Many emotions swirl as we look down the tracks of the roller coaster of the next 2 and 1/2 weeks here (and the summer beyond). We have 2 weekends left. We're going to be leaving some wonderful friends, both local and other American and international teachers. I'm leaving a group of kids I've spent the last two years with and love dearly. I've already shed a few tears. And I also feel a small pang of regret for things not accomplished while here. *Okay, perhaps I get a tad carried away. Still, what an incredible part of the world we've had a chance to occupy! We've been to Europe, the Middle East and North Africa, and all over Turkey--the cradle of human civilization. I also feel fortunate to have lived in a secular Muslim country. I feel so much more prepared to understand the politics and difficulties of a global world, how religion informs politics, to think in different ways, and to keep an open mind in ALL matters. I've had the unique opportunity to make friends from this area and Pakistan--many Muslim, many agnostic, but all wonderful and they have informed my understanding and world view. So, in many ways, it is so hard to leave. There are many things to be excited for. And so I'm ready. Ready to start again. Ready for more new experiences. Ready to get home for the summer (it's been 2 years--we're so excited for this trip!) to be with friends and family. And on the 31st, we fly to Seoul. It will be a whirlwind, and not enough time spent anywhere to make everyone happy. But we'll have longer next summer. We'll not have to go 2 years without being home again. And that should make people happy. Us too. And with that, my Turkey trotting is finished. I'll still be trotting my trails for the next 2 and 1/2 weeks, but I won't be blogging it. I'll post one last time with a new blog address later--and I imagine this will be a more permanent address. An I-may-move-but-the-blog-will-stay-the-same sort of concept. The end of February (or was it the beginning of March?) Tim dislocated his shoulder (a horrific ordeal that will have to be detailed in a less public way at some other time) and got the corrective surgery to anchor the torn what-cha-ma-call-it. That was a very, uh, exciting time for us, but he's taken good care of it and is still going to daily PT to get his full range of movement. He begins strength training for it this week. Midway through March, we jetted over to Dublin for Tim's cousin's wedding. Tim still had to wear his shoulder brace, but got to imbibe plenty of whisky and Guinness. I freaking LOVED what tiny little bit of Ireland I saw. Tim's family lives in a village just outside of Dublin called Dunboyne and this is where the wedding was and where we all stayed. We were literally there long enough to see a tiny bit of downtown Dublin, go to the Guinness factory, and then do all the wedding stuff which was great fun. The Irish party. The wedding on Saturday began at 2 pm and the FIRST bus home from the reception was at 12:30. The last day was a big get together at Tim's aunt and uncle's house where we ate, drank, and sang songs while Tim's Uncle Frank played his guitar. We were fortunate to be able to be there--it was the first time all the cousins in his family had been together since they were all little people. Tim continued healing and in mid-April we met Tim's parents in Venice to begin our Italian spring break. That was an incredbile vacation. We stayed in Venice, Bologna, and went through Maranello (home of Ferrari) with Bill and Carol before they left for home and we continued west to Florence and the Cinque Terre. It was beautiful and warm and sunny and I love Italy. For so many reasons. I'll link up to Tim's pictures when he gets them together. I could ramble on and on about Italy, so I'll cut it off here. Since then, I've been climbing with Carrie, running in the hills (during our fleeting periods of sunshine and warmth--as a side note, it has been a CRAP spring weather-wise but this week we finally got some continuous sun and warmth), and getting my mind ready for the great culture shift. Well, two of them really. The first being a summer back in the States, and from there moving on to South Korea. Tomorrow, we begin a long weekend and our last trip from Turkey. We are heading over to Cairo to visit old friends from Colegio Americano. Yeah, it's just a long weekend. But when again in our lives will be able to go to Cairo for a long weekend???? No time soon, so we're taking the opportunity. I'm starting to get a little sad about leaving Turkey. There are many things I didn't get to do and places I didn't have a chance to see. This has been such a warm, friendly, and beautiful place to be. A country of surprises in every way. We've also made so many wonderful friends here. It's the hardest part about this job. But bitter-sweet too because we are quickly amassing many close friends all over the Earth that we'll eventually meet back up with at some point. Travel plans are coming together. We leave Turkey on June 22nd and will be in Boone until the July 4th weekend where we'll spend in DC and then it's on to Colorado for a week for me, two for Tim. The rest of our time will be split between Boone and Greenville as we try to spread ourselves around and on July 31st, we fly from Atlanta on one long-haul straight to Seoul. 4 more months until the end of this school year. 4 more months until our lives turn over again. 4 more months and I won't be trotting around Turkey anymore. Next, we move to South Korea for an opportunity to build our dream school--which we of course could not pass up. We are moving to the new city being developed called Songdo-dong, a part of Incheon, or also known as New Songdo City, a "free economic zone." Google it. That part will be beyond anything we can imagine. It's also about 45 minutes from downtown Seoul. So, we'll be close to Seoul, yet not in Seoul, which I hope will suit fine. While I'm trying to prepare myself mentally (making myself consider what true crowds, etc. will literally mean to me) and physically (I've been eating a ton of spicy things--I'm in training. Bring on the hot sauce! ), I also know that there is so much I just can't prepare myself for. And then there's Turkey. We still live here, in Turkey--a fantastic place to live. I think it's vital that we continue to try to stay in the present and all else will work out. I don't want these 4 months to fly by. I want a long, warm spring where we climb lots, see some more new sights, and hopefully even make it down to the Med once more before we pack it all up and bring this chapter to a close. This the Qatari skyline as seen from the Museum of Arabic Art. If the day were more clear, you'd quickly point out the corkscrewing building, all the construction cranes, the hour-glass building clad in fishnet stocking, and a building that can only be described as something one might find in Mrs. Kong's bedside goody drawer. The pic below is on a clearer day, but from farther away. Oh well, you get the idea. Qatar is pretty much it's capital city, Doha. And it is brand-spanking-new. And falling over itself to prove to you how ready it is to be an international destination and high-powered world economic player. Winning the bid to host the World Cup has catapulted the city into a frenzy of infrastructure construction and attention from the world. The city is so new, in fact, that law enforcement officials are not sure what the rules are. Case in point: I tried to bring a Ukrainian student. I sent the Qatari government a copy of the child's passport and they promptly issued her a visa which I printed and carried with us. Turns out that in the Ukraine, you don't get an actual passport until you turn 18. Before that, you have a "travel document." But no big deal, right? Pasted in those pages are numerous visas for the USA, England, and so and so forth complete with entry and exit stamps. She's obviously been using it as a passport. But the immigration police would not let us pass without a "real" passport. Yes, we had her Qatari visa in hand, issued by their own government. She and a teacher ended up staying in the airport overnight. After much intervention from high-ups (thank you, many helpers who got out of bed to come to our rescue! ), they were allowed to enter the country at 7 am the following morning. Hopefully they get these glitches are worked out before the World Cup comes to town. I don't think they want the reputation that report of such interactions would paint. While it was unseasonably cool, as in, NOT bathing suit weather, it was still warm enough to relax in a sunbed on the beach. See my white feet? Those suckers haven't seen sun since late September! While there's no indoor skiing (yet! ), or the world's tallest building (yet! ), or even a subway (yet! ), the glitz and mall culture definitely reminded me of Dubai. Those are my two Arabian experiences: Doha and Dubai (Israel doesn't count as Arabian to me). And at first I think, well, that's not enough. I can't base judgments and impressions on two Disney-esque cities. Or can I? Is this becoming Arabian culture? We were in Doha for an MUN conference hosted by Georgetown University. Yes, the very one. Not kidding. Several prominent universities from the States (Northwestern, Carnegie Mellon, etc.) house a single degree program at Education City where they each have a satellite campus, and as the program for Georgetown is international politics, it makes sense that the entire branch of the school is involved in putting on the conference. And it was truly excellent! 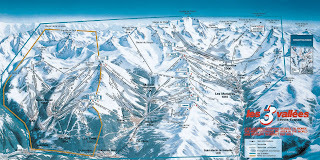 We've just returned from what is becoming our annual European ski vacation! Last year, Austria, this year, France. While it's true that I don't necessarily always give the French a lot of credit for being nice and welcoming, in the face of overwhelming evidence to the contrary (! ), I had a wonderful time skiing in France and thought that even though it's yet more not about Turkey, it was still way cool and worthy of blog space. So we changed plans and went to France instead. We got cheap tickets into Turin, Italy, and then took trains to France and spent about a week and a half skiing. We even got a powder day! We'll post pictures at some point. Tim did take out the fancy camera one day, and we had the point and shoot the rest. But he loves doctoring them a bit before he publishes. We also had a few days in Turin on the front end, and we loved it! Fortunately, we get to go back to Italy in April for a week and we're really looking forward to it. Apres Ski in Austria--better! I think we have a special place in our hearts for dancing on tables, crashing beer steins, singing bad music, eating sausages, and smiling big with our big beers after a long day skiing. We may be slightly German at-heart. 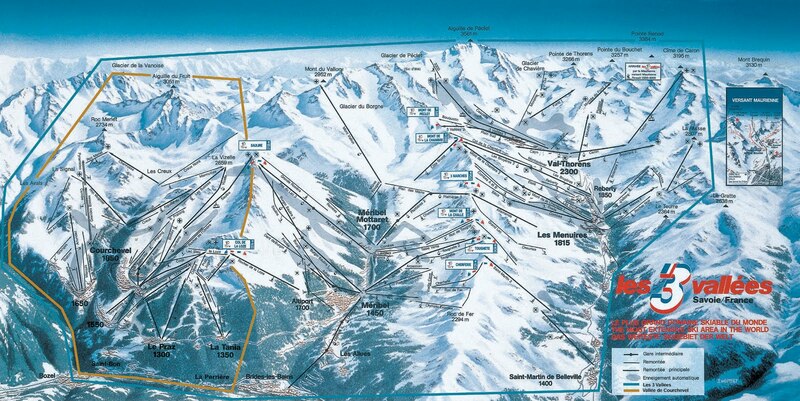 Lift lines in France---better! I don't know exactly why, but they sure managed and moved the crowds better. Perhaps because there were several gondolas at the base and many easy routes to take back down to the base? Gondolas and lifts in Austria---better! There were no heated seats in France, and very few storm bubbles on the chairs. Austria totally had this dialed. Cool backcountry shop---both! There was one token rando/tele shop in each and the people at both stores were equally friendly and helpful and cool. Food?---Hmmm. The French eat a lot of cheese. And duck. And dried meat with cheese melted on it. And steak tartare and foie gras and many other things I'm not ready to try. The Austrians eat sausage and kraut! Mmmmm, sausage..... Of course, we could barely afford to eat out in France, so perhaps there were more and better options? In Germany/Austria, we fell in love with Gluwein, but the French Alps added an irresistible twist: fortification with Grand Marnier! Oh, yes! We'll add that to the mulling pot for sure! And lastly, like I said, the people there and on the trains were genuinely friendly and interested in us, and were genuinely interested in trying to speak English to communicate with us. Okay, France, maybe you're not so bad after-all. It seems like all I ever find worthy of talk is my travel, and not my day-to-day. I think that's because I've been doing this living abroad stuff long enough that where I live seems just as mundane as anywhere else in the world. I may live in cool places, but I still work a (more than) full-time job, I still wash dishes after Tim's nightly culinary creations, and every night, Bali still snuggles with me and my current novel. Our new middle school finally opened last week and Tim moved to the new building. I have projector envy. But I'm happy for Tim. We have also had quite a few extra-curricular excursions since I last posted. --Megan came to visit and we all went to Olympos for the vacation. --U2 came to Istanbul on a school night and we managed to get there and back in time to enjoy the show and be back at work. --My only little brother got married in Florida, so we made like lightening to the States for a few days to be there. --We celebrated Oktoberfest at the German embassy, complete with cheesy band wearing lederhosen, German beer, stein crashing, picnic table dancing, Bavarian-sausage-eating, and just general revelry. But first a little disclaimer. While we were using our lousy point-and-shoot camera, we would both take pictures and the quality was nothing to get all excited about. But when we were in Finland, Tim got a REALLY nice birthday present: A new DSLR. And since then, all of our collective photos are actually his of quite a good artistic quality. Sooooo, you should just understand that from now on, unless Tim is in the picture or I say I took it, that all photos posted on my blog are the artistic property of Timothy C. Henkels and may not be reused or reposted or filched in any way shape or form without explicit permission from the artist himself. Okay? Now, where was I? Oh yes, we returned to Ankara from Finland and began the preparations to move to our summer house in the mountains. Now, we've been to the Aladaglar before: click here to go back to our pics from last September. So we knew where we were heading and had the guy who owns the campsite to broker a deal for us with the homeowner next door. We decided to rent the house so we could take Bali with us and so we could stay longer. 3 weeks on the ground in a hot tent is just no longer kosher, now that I'm in my 30s and seem a lot more sensitive to that stuff these days. In addition to the great climbing, we had some beautiful hikes and mountain scrambles. It was a bit too hot for peak-bagging, okay, way too hot---but we still got in some nice strolls. Our weeks in the mountains were SWEET! We got in great shape, were in the middle of nowhere surrounded by beautiful mountains, and we got a lot closer to the local climbing community. We also managed to narrowly avoid the hottest summer in the city in recent memory. What's even better, is that when we returned home, the summer was hardly over! We instantly joined the pool down the road and spent our last week of vacation there (and continue to go there for the afternoons). "Get back to work!" you yell at me. Well, not quite yet. After a week of school with the students, we head to Istanbul to see U2 in concert, and Tim's sister is here. We have a week of vacation already so we'll be taking her down to the Mediterranean. We'll have a bit more summer yet! Then I swear, I'll try to get back to work. We've had a nice summer. Then it was time for our trip to Finland for the Ruisrock festival. We had a day on either end in Helsinki and we loved it. The farmhouses, the bikes, the beers, the farmers' markets, the trees, trees, trees! Look! It's Tayfun Bey on some random island off Helsinki! Tayfun was the Turkish principal at our high school this past year. Small world, right? The festival was great fun too--and certainly the most "civilized" music festival we've ever been to. It was very European with their sit-down dinners, tap water, and champagne spots. The light was crazy too. The sun finally "set" at about 11:30 at night, and it was twilight until about 2:00 am when the sun started to "come up" again. The venue was on a beautiful island that we all had to walk 2km to access. The best stage, where we saw Rise Against, Anti-Flag and Flogging Molly was right on the beach. The weather gorgeous, but really hot. Hotter than we expected. For Anti-Flag, I got a hose-down from the nice guy with the ear-muffs. We were able to get right in front for all our favorite bands. I was just happy to see that they're human after all. Seriously I've never seen so many people drinking the way the Fins were on Saturday at the show. I wondered if they had the stamina to continue. They didn't. Sunday was way more low-key. We were a little reluctant to leave Finland. We had such a great time there and really loved the city. I don't think it will ever make it on the "list" because there's no mountains. But we would now possibly consider Oslo, Norway. Thoughts? I've been hiding out. Tim and Bali and I are spending the rest of our summer vacation in a mountain house in Turkey. We're climbing, hiking, running, and chilling out. Tim is playing with his new camera, so you should go over to his blog to see photos of what we're doing. Sometimes we're able to get on the internet by hooking Tim's phone to the computer. I'll update with all our summer adventures following our anniversary trip when we return home to Ankara. Until then, hope you have a great summer too!